Dyland is a native San Diegan who worked as a fishing deckhand and at local restaurants through his undergraduate studies at Mesa College and San Diego State University. He teamed up with five friends to open a restaurant in Ocean Beach during his junior year at SDSU, where he gained firsthand experience in management, wage/hour issues, and developed an interest in employee rights. He attended the University of San Diego School of Law and centered his studies around dispute resolution in the labor and employment context. 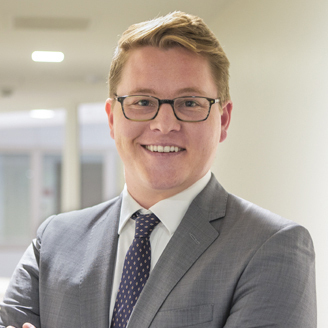 Dyland clerked at Smith Steiner Vanderpool during his second and third years of law school, after an internship position with a mid-size San Diego corporation’s in-house counsel. He graduated from USD School of Law in May 2017 and was admitted to the California State Bar in November 2017, when he joined the firm as an associate attorney. Dyland is a native San Diegan who worked as a fishing deckhand and at local restaurants through his undergraduate studies at Mesa College and San Diego State University. Dyland’s mother is an elementary school teacher and he is proud to represent educators across Southern California. His hobbies include gardening, fishing, snowboarding, and cooking.